Auditions will be held at Beatniks On Conkey, 418 Conkey Street, Hammond, IN. On a road outside Dak To in 1967, the lives of two soldiers were changed forever. Thirty years later, in a remote trailer park in California, these two soldiers come together for one last hurrah. As the night deepens, the past makes a return appearance, and its many ghosts come flickering to life. Still haunted by the specter of America's longest war, the two men discover that their friendship may be the last casualty of a war that simply will not end. 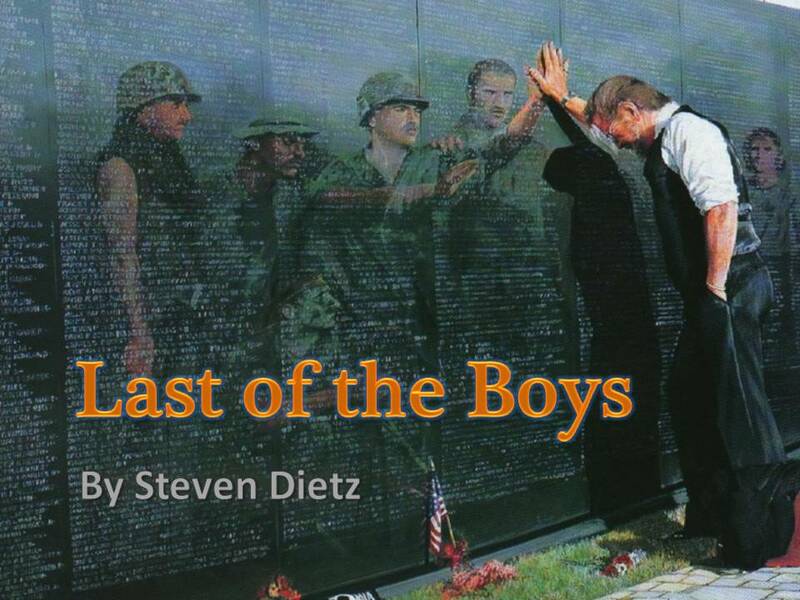 "Last of the Boys", by award-winning playwright Steven Dietz, is a fierce, haunted, funny, and mesmerizing lament for a generation of Americans still trying to come to terms with the Vietnam conflict. As one of the country's most prolific, versatile, and widely-produced playwrights, Dietz has had numerous plays performed throughout the United States and worldwide to critical acclaim. As with all of his plays, "Last of the Boys" is marked by a mastery of language, and its characters are defined not only by the stories they tell, but also by the way they tell them; their exchanges are laced with humor and hurt. Though the play reflects on the events of the Vietnam era it is not, as Dietz says, "a historic play. This is about a world in which the same hard choices keep presenting themselves." "Last of the Boys" is being staged in the intimate confines of Beatniks On Conkey, directed by Don Taylor, himself a veteran of the Vietnam conflict.